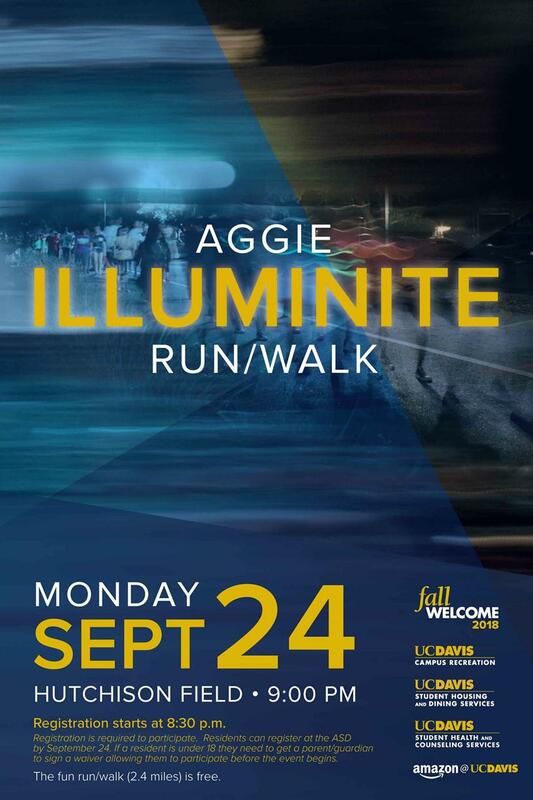 The fourth annual Illuminite Glow Fun Run/Walk is an opportunity for students to get out and stretch their legs. Whether you choose to run or walk this 2.4-mile course, you'll meet plenty of new friends and light up the night! Registration is free but required for the event; please visit your Area Service Desk (ASD) to sign up before the event. On-site registration is available starting at 8:30 p.m., but preregistration at the ASD is strongly encouraged. Students under 18 must have a parent/guardian signature to participate; please contact your ASD for further instructions. Complimentary glow sticks will be provided at the event while they last.